We are pleased to reveal that PES 2011 will be going into the platinum and classics ranges, for PS3 and Xbox 360, starting from April 1st. See the official press release from Konami below. 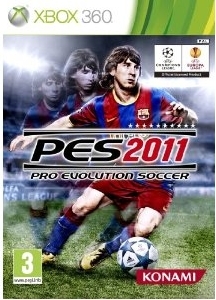 "Konami Digital Entertainment GmbH has announced that its popular PES 2011 title for PlayStatIon®3, Xbox 360 and PC-DVD will be released at a new, lower price from April 1st. Originally released on October 8th, the game will now be repackaged as part of Sony’s Platinum range with a new £29.99, the Xbox Classics label for the same price, and as a £19.99 Euro Classics title for PC". For further details on this topic, head to WENB now.